After a recent corporate and board clean-out Trustees Executors (TE) filled one empty director’s chair last week with the appointment of Matthew Sale. Sale has an almost two-decade history in the Australasian finance sector including his latest four-year stint as head of retail and marketing for TE rival firm, Public Trust, which ended this January. TE replaced executive director, Rob Russell, late last month with former chief operating officer of Australian firm, Equity Trustees, Ryan Bessmer. Russell, also a TE director, left the board last week following Sale’s appointment. Sale, the TE board comprises chair, David Neidhart, and Andrew Scott-Howman, nominal shareholder of the group’s ultimate holding company, Swiss firm Sterling Grace. Before Public Trust, Sale held a number of senior marketing, sales and distribution roles with BNZ and parent institution, National Australia Bank. Meanwhile, Harbour Asset Management has found a candidate for its fixed income investment analyst vacancy with an experienced ex-pat former global portfolio manager. George Henderson, who begins the expanded Harbour role in July, spent nine of his 11 years with Royal London Asset Management in the UK managing a range of global fixed income funds before returning to NZ recently. Henderson, who replaces now-US resident Declan McKeefry in the role, has been handed a broader remit that includes “deepening the team’s use of quantitative analytical tools, and supporting efficient trade execution and risk management”, Harbour said in a statement. The Wellington-headquartered investment firm currently boasts about $1.3 billion in fixed income assets in a team headed by Christian Hawkesby. As well as Hawkesby, the Harbour fixed income team includes portfolio manager, Mark Brown, and credit research analyst, Simon Pannett. Henderson, a CFA charterholder, began his investment career in 2000 with seminal Australian implemented consulting firm InTech. Since returning to NZ he has spent the intervening time managing his Hawke’s Bay family farm. Last week Harbour also received a fillip after winning the INFINZ equity manager of the year award. Nikko Asset Management, which took out the INFINZ equity prize in 2017 and was also a finalist in the category in 2018, scored the top award this year for its fixed income prowess. 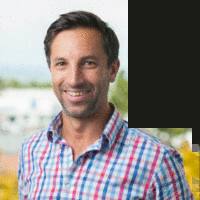 In a release, George Carter, Nikko NZ chief, said the INFINZ honour – along with group’s recent Morningstar fund manager of the year award – came at an “exciting time” for the $5 billion plus firm, which recently launched a KiwiSaver scheme “and intends to offer a robo-advice platform later this year”. The INFINZ equity and bond manager awards are based primarily on short-term performance numbers as generated by consultancy firm, Melville Jessup Weaver (MJW). INFINZ winners on the night also included former ASB chief, Barbara Chapman, who claimed the inaugural Diversity and Inclusion gong. In a further nod to diversity and inclusion, the industry body anointed two high-flying financial females as INFINZ Fellows. Fisher Funds founder, Carmel Fisher, and chair of the NZ Superannuation Guardians, Catherine Savage, were the only Fellows named on the night while company director, Linda Robertson, was awarded the Distinguished Fellowship title.